When learning to read, absolute beginners and strugglers have to use almost all their cognitive horsepower just to get words off the page. 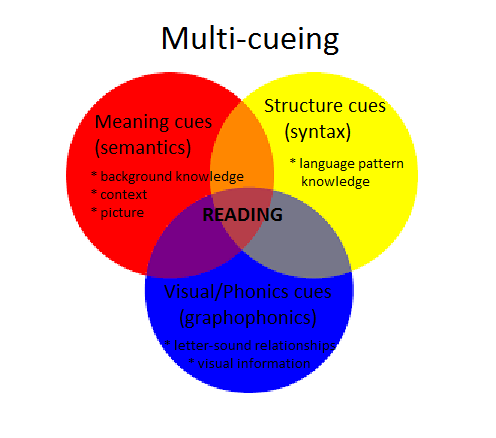 Teachers encouraging “multi-cueing” (a term used widely in my local schools, also called “the three-cueing system”, or “searchlights” in the UK), often distract children from the vital early task of building their decoding skills, and encourage the habits of weak readers, not strong readers. 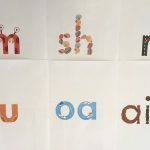 Strong readers and spellers internalise and automatise the links between words’ sounds and their spellings, and eventually can convert speech to print and print to speech at lightning speed without conscious effort. It’s only weak readers who have to guess from pictures, context, syntax or anything else. Context, syntax etc. come into play after a word is identified, in comprehending the text. 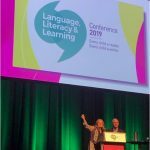 Dr Marilyn Jager Adams is an internationally-regarded expert on literacy-learning, and author of the landmark book “Beginning to Read: Thinking and Learning about Print”. 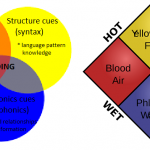 In the 1990s when she was a visiting scholar at Harvard University Graduate School of Education, she realised that “the three-cueing system” had become a Thing in education. She tried to work out whose Thing it was. Like other reading researchers, Adams knew that poorly developed word recognition skills are the most pervasive and debilitating source of reading difficulty, and that the skilful reader’s deep and ready knowledge of words’ spellings and spelling-to-speech correspondences is what enables swift, efficient word recognition. She wrote: “During that fraction of a second while the eyes are paused on any given word in a text, its spelling is registered with complete, letter wise precision even as it is instantly and automatically mapped to the speech patterns it represents”. The process is so over-learned that it happens subconsciously. Skilful readers can no more look at a word and not read it than fly to the moon. In 1998 she wrote (I encourage you to read the whole article here): “Over the last few years, I have spent much time in schools around the country, working with teachers and administrators. My challenge has been to tell them about these lessons from research and their implications with respect to instruction. At some point during such sessions, I am almost inevitably asked how what I have said relates to the three-cueing system. “The first time I was hit with this question, I naively asked what, specifically, my audience meant by “the three-cueing system”. Whose three-cueing system? Although nobody could provide me with a reference, someone in my audience graciously drew a schematic of the three-cueing system for me”. I don’t have a copy of that diagram, but I imagine it looked something like this, as this is the sort of multi-cueing venn diagram I’ve seen kicking around schools for decades. Adams immediately assumed that the diagram referred to the elements that must be present for the meaning of a text to be understood. This made perfect sense and was based on extensive research from the 1970s, some of it her own. As she spoke about this, she realised from her audience’s faces that what she was saying differed from what they were expecting in a fundamental way. She started searching the academic literature for the source of the three-cueing system, but came up empty-handed. She asked colleagues around the world, but none of them knew. 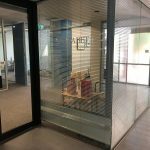 She gathered up workshop handouts, framework documents and advertisements referring to the three-cueing system, and searched them fruitlessly for references. The graphic was similar, but the topic was not. Adams kept searching, by now convinced that the three-cueing system was not part of the mainstream academic repertoire. Eventually she was told that the term “cueing systems” referred to the strategies that readers can use when reading unfamiliar words, how these are integrated, how well they self-correct and what the text means to them. She found a largely-ignored 1976 article and two influential books from 1988 and 1994 by Regie Routman containing versions of the diagram. But no actual research. Routman wrote that effective readers, “use all three cueing systems interdependently. Ineffective readers tend to rely too heavily upon graphophonic cues” and “that children learn phonics best after they can already read. I am convinced that the reason our good readers are good at phonics is that in their being able to read they can intuitively make sense of phonics”. Well, it’s very nice to have convictions, but teaching needs to be based on evidence. Routman and others argued that sounds and spellings are subordinate to meaning and structure in reading, and should be de-emphasised in teaching. They recommended that children should only sound out words as a last resort. Routman created practical tools for teachers to help them encourage reliance on other cues and actively discourage sounding out. Whatever their source, and whoever promoted them, these ideas were widely taken up in education. Eventually a group of 40 linguists and psycholinguists discovered that the phonics-last philosophy had made it all the way into the Massachusetts Reading Curriculum Framework, and wrote a letter of protest to the Minister for Education, prompting policy change. Marilyn Jager Adams maintained a generous view of the three-cueing Thing for a long time, still believing that it referred to how we understand text. After a number of baffling exchanges with editors, it dawned on her that the diagram was in fact being used as a model of the process of word identification. She writes: “I finally understood why my audience looked so puzzled on that first run-in with the three-cueing system. They had been operating on the belief that the semantic, syntactic, and pragmatic cues were straightforward and familiar to children, and, because of this, were wholly available for use in finessing the graphophonemic system, which was complicated and unfamiliar. It had never occurred to them that there was much to teach or learn about the semantic, syntactic, and pragmatic cues involved in skillful reading”. Adams suggests that the three-cueing system probably proliferated via inservices, workshops and conferences in education, in isolation from relevant university courses and researchers. She writes that the belief system the three-cueing diagram has come to represent has wreaked “disaster on students and hardship on teachers” and bred significant distrust and ill-will. Ugh. You can find a shorter, 2004 article on this topic by Adams here. How to replace this belief system with understandings based on solid research evidence, and thus prevent the abovementioned disaster and hardship, is the eleventy-billion-dollar question. keep asking for the evidence behind multi-cueing, in all its guises. When none can be produced (and if Marilyn Jager Adams couldn’t find it, I’d suggest nobody can) ask respectfully that its use be discontinued in favour of models and methods based on good evidence, like the Simple View of Reading. Teachers wanting an update on the best and latest research on how the reading brain works, how children learn to read, what can go wrong in this process, and what going digital might mean for the future of literacy should come to one of the upcoming seminars with Prof Maryanne Wolf in Brisbane (2nd September 2016), Sydney (7 Sept) or Melbourne (9 Sept). I am busy organising a super-duper trade display of lesser-known good teaching resources for the Melbourne session, including Prof Wolf’s own program RAVE-O, which participants can browse and find out more about during the session breaks. Hope to see you there. So yes, Marie Clay helped this problem persist, and the Running Record is part of the problem. It takes too long, is based on faulty ideas and evidence, and should be replaced by quicker, more evidence-based assessment methods that accurately assess decoding (phonemic awareness/phonics), comprehension and fluency, and ideally also vocabulary, as these are the Big Five areas we know matter for successfully getting off the literacy launching pad. This is all very interesting. I agree that the focus is now on teaching kids to guess words by looking at the picture and context. Teaching a child to ‘read on’ or ‘reread’ when they come across an unfamiliar word simply so they can think of a word that might fit only gets them into the habit of guessing words and reading texts inaccurately. For example, a child might read the sentence, ‘The boy was exhausted when he got home’ as ‘The boy was excited when he got home’. The sentence still makes sense and it sounds right and would look right to a child who hasn’t any phonic knowledge. This habit of guessing words soon becomes entrenched and is hard to break. What specific evidence-based assessment methods can you recommend that “accurately assess decoding (phonemic awareness/phonics), comprehension and fluency”? 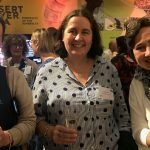 Hi Elle, I’m glad to hear you say that you also see guessing being promoted everywhere in early reading, and recognise that this can become a hard-to-overcome habit. I sometimes worry that because my focus is strugglers I’m getting a skewed view, and maybe the majority of kids are being taught to decode, I’m just seeing the ones that aren’t. 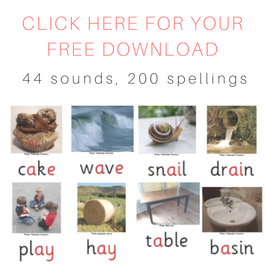 The MOTIF tests are free (www.motif.org.au) and many of them are standardised, they include nonword measures which are good for assessing decoding and spelling word attack. I also use the Martin and Pratt Nonword Reading test for nonword decoding. The York Assessment of Reading comprehension is a standardised assessment that includes measures of accuracy, comprehension and fluency, with an Australian edition, see http://www.yarcsupport.co.uk/australia. It has primary and secondary versions. Is this a joke? Someone refer Dr Adams to Constance Weaver’s work please. It was the ‘textbook’ for Reading lectures during the mid 80’s when I was completing my Dip Ed. I left Uni fully convinced that phonics “evil” / whole language “good” but over my 30yrs + career realised that the best approach for teaching any subject is the one that works for the student, and that should depend entirely on the student’s needs. Both approaches have a rational basis and legitimate place in the classroom and don’t need to be placed in conflict. I am a New Zealand New Entrant teacher from South Africa (extensive phonics teaching emphasis) and would like to know how should I go about teaching my students when the Marie Clay nonsense is so entrenched. 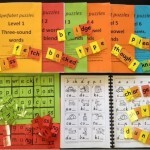 How can I incorporate ‘phonics’ reading when we do not have any phonic readers. Any ideas why NZ refuses to acknowledge their contribution to the reading disaster internationally and continues with this guessing game. I have just had PD on the prior knowledge and follow up reading activities ‘pedagogy’ in order to assist struggling readers. I am so frustrated! I have taught my African students of disadvantaged (and 11 different home languages) read successfully within their first year. Now I am teaching reading looking at pictures, that is if they know what the pictures are. Hi Rita, I wish I knew the answer to your “how to teach well in the context of entrenched Marie Clay nonsense” question. We have it here too. Getting schools to buy decodable books can be very tricky, and even when you get a few into the library and the children all pounce on them and they’re all out on loan, there is still often a reluctance to buy more. Can you just get your classsome cheap-and-cheerful Pocket Rockets and some other inexpensive phonics stuff and teach it as best you can under the radar, if it’s not possible for you to challenge the pedagogy used at school? I completely understand the problem of coming in as an outsider/newcomer and not being able to rock the boat too much. It would be great if parents could also ask lots of questions about this at school, regional and state level, as they are ultimately the people with the power to insist on change. Best of luck with what must feel like an uphill battle! Keep going! Reading A-Z has some decodable readers that you can download and print off with a membership. They also offer a free trial. What are your thoughts about validity & reliability of DRA & Running Record assessments?